Dr. Nicholas J Economides, MD is a Doctor primarily located in Memphis, TN, with another office in Fort Smith, AR. He has 46 years of experience. His specialties include Plastic Surgery, Surgical Oncology and Surgery. He speaks English. Dr. Economides has received 3 awards. The overall average patient rating of Dr. Nicholas J Economides is Great. Dr. Nicholas J Economides has been rated by 13 patients. From those 13 patients 3 of those left a comment along with their rating. The overall rating for Dr. Nicholas J Economides is 4.3 of 5.0 stars. Surgical oncologists play various roles in treating cancer. They can perform biopsies to determine if a tumor is cancerous or not. If it is, they’re trained to remove the tumor, tissue, and in some cases, all or part of an organ or bodily structure where the cancer has spread. In addition to removing cancer, they can perform any reconstructive surgeries that may be necessary. Many surgical oncologists specialize in certain types of cancer, such as liver, lung or breast. Don’t be afraid to ask them what they have the most experience treating. When looking for a doctor, it’s important to know that general surgeons are also qualified to perform many of the same surgeries. However, surgical oncologists have specific training in recognizing and treating cancer, which some patients prefer. I was treated post-skin graft surgery that was infected, primary care treated with anti-biotic but Dr. Economides immediately recognized it as fungal. Competent fellow. My wife had to have a tummy tuck a year after gastric bypass surgery because she had lost 100 pounds (yeah) and Dr Economides patched her up nicely. This was at Holzer Clinic in Ohio where he practiced for a number of years; you folks in the Memphis area are fortunate to have such a brilliant surgeon, our loss up here in the Ohio River Valley. Cyst removed from cheek did not heal properly. More than a year after the surgery, I am still expressing sebaceous (sp?) discharge from the site. As a result, I am led to believe that something "at the core" was never completely removed. For this, I was charged in excess of $1,000. Caveat emptor. We are sorry, it looks like we don't have insurance information. Please call Dr. Nicholas J Economides's office for more information. Take a minute to learn about Dr. Nicholas J Economides, MD - Surgical Oncology in Memphis, TN, in this video. Dr. Nicholas J Economides is similar to the following 4 Doctors near Memphis, TN. 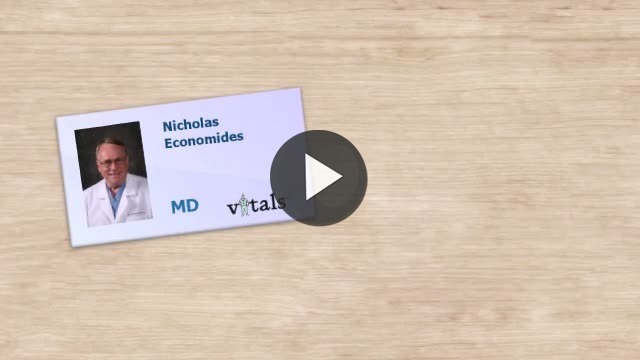 Have you had a recent visit with Dr. Nicholas J Economides? Select a star to let us know how it was.